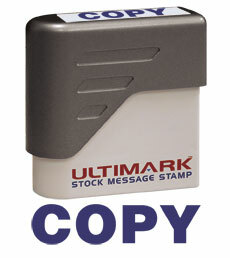 Easily mark on documents with our stock message stamps. The pre-inked stamp needs no additional ink pad. The ink is embedded into the stamp and lasts for thousands of impressions. Actual Impression Size = 3/8" x 1 3/8"